I have a lot of simultaneous projects going on right now, which is pretty typical of my sewing style. I like to have a selection of projects so that when a free moment arises, I have something to work on, but also have a choice as to what I work on each day. It helps my creativity feel refreshed and helps avoid inspiration slumps. When in doubt, I start a new project since I have no shortage of projects I *want* to create, and there’s nothing like curating a new fabric pull or cutting into a new project to renew my excitement for sewing. It’s been a while since I’ve showed you my ongoing projects, so I thought today would be a good day! These are my most frequently worked upon projects; there are scads more on the semi-permanent back burner that I will pick up again when my plate clears *just* a bit. Today, the highlights! First up is my ongoing epic Carolyn Friedlander Modern Hexies project. This is my on-the-go English Paper Piecing (EPP) project that lives in my purse. I’m making progress at a bit slower than snail paced this summer, since somehow those free moments that allow for hand stitching while the kids are occupied are few and far between. And oddly, all three kids have not simultaneously fallen asleep in the car on the way to a store even ONCE! What was somewhat regular with two kids is likened to a golden unicorn with three. But still, one stitch at a time, one hexagon at a time, this project progresses. Another project I’m plugging away on is a fun one for Andover Fabrics. They were awesome enough to send some Alison Glass Handcrafted Patchwork to me, as well as some yardage of Constellation by Lizzy House from her Whisper Palette collection. I picked up some Andover textured solid from my LQS Fiddlehead Artisan Supply to round it out. I’m working on a new geometric foundation paper pieced pattern, with meticulously cut sections of the gorgeous Handcrafted Patchwork fabrics. There will be a tutorial going up on Andover’s blog very soon, as well as the pattern release, so keep your eye out! I’ve also been out on three different quilt photography adventures with my amazingly gifted quilt holding assistant, aka my husband. We have been having a blast photographing the quilts for this year’s Quilter’s Planner in a sampling of the gorgeous natural locations in Maine. The planner is now available for preorder! Reserve yours HERE… there are a limited number of early bird specials and some really fun extra bits this year! I’ve shared one fun outtake above, but more will be revealed in the coming weeks. Hint: Shown here is one of the 14 patterns that will be included in the planner this year, this one by the ever talented Karen Lewis! It’s so gorgeous; I can’t wait to show you more! Be sure to preorder yours now; you can read all about it on its Indiegogo page here. There are many other fun projects waiting patiently on the decks, including a Terrazzo Quilt (pattern by Lee Heinrich of Freshly Pieced) made using all of Alison Glass’s Sun Prints 2016 provided by Fat Quarter Shop (the fabric pull is shown above! ), a simple new pattern I’m making for a secret side project with some fellow designers, a baby quilt for one of my best friends from college who is having her second baby soon (see the quilt I made for her first baby here), a quilt pattern that will appear in a magazine early next year, and more! Phew! What have you been working on? 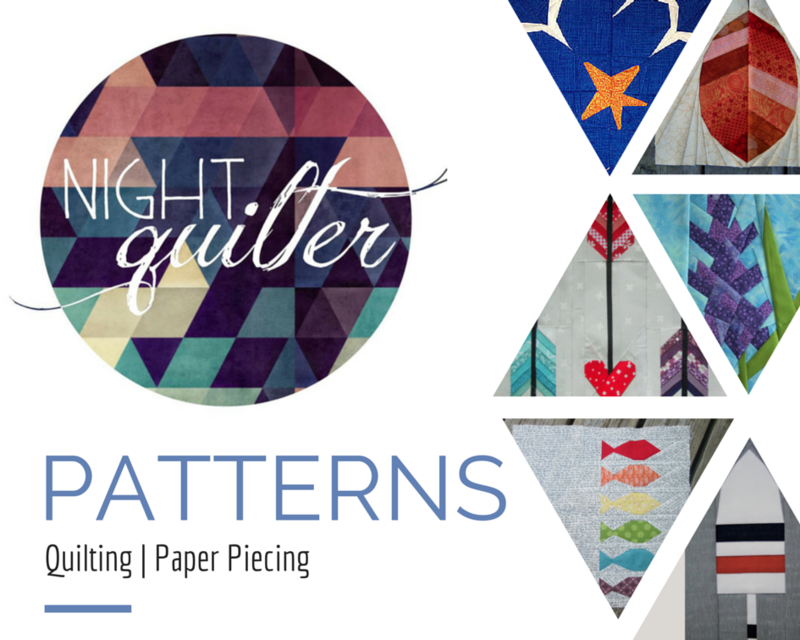 I’m linking up with Design Wall Monday at Patchwork Times & Main Crush Monday at Cooking up Quilts since I love to see what everyone else is working on.